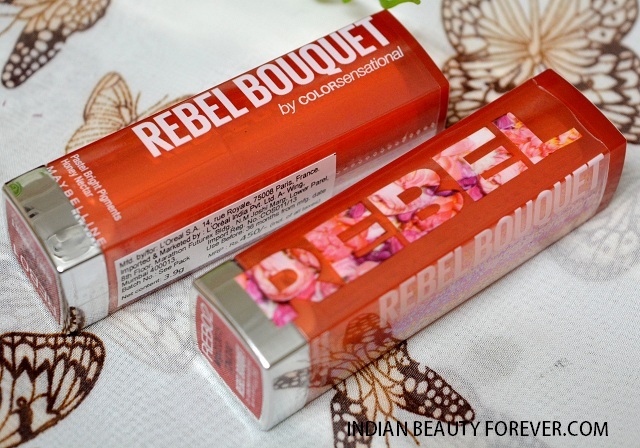 Recently Maybelline has launched the Rebel Bouquet Collection. Whenever Maybelline launches new products, I get very excited it’s because this is one of my favorite brands, in fact a lot of girls love this brand, reason being the quality, colors and the affordability. Maybelline Rebel Bouquet collection has 4 products. i.e. 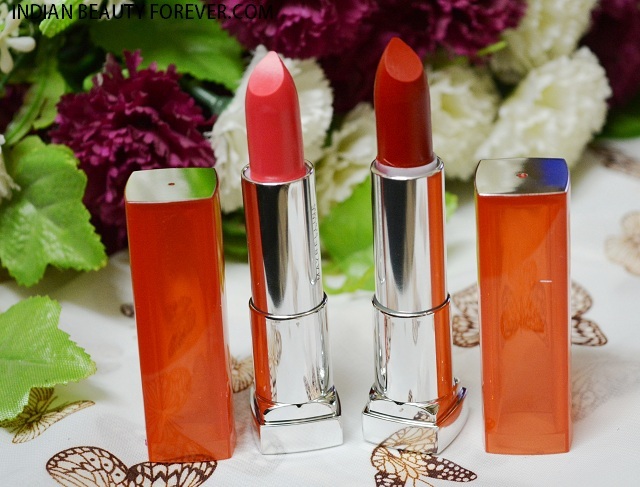 I have the 2 Rebel Bouquet Lipsticks REB 01 and REB 02 that I will be reviewing and swatches these 2 lipsticks for you. 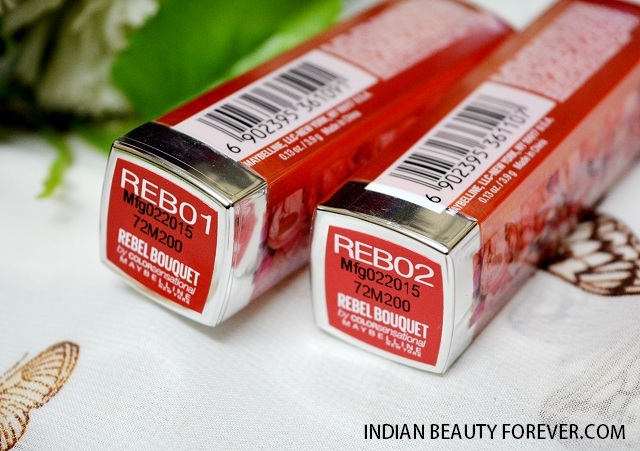 REB 01 is a red color which has a very glossy texture and light formula. The formula makes this a very enriching and moisturizing. 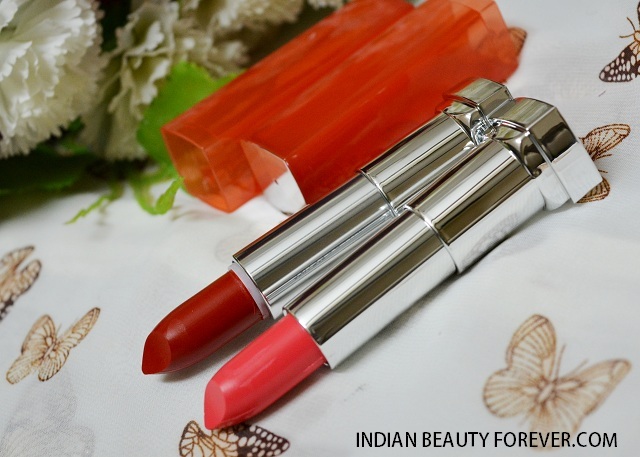 I like the feel of this lipstick which is light weight and very soft on the lips. It is not an overtly pigmented color on the first coat but rather a glossy and sheer pigmentation. 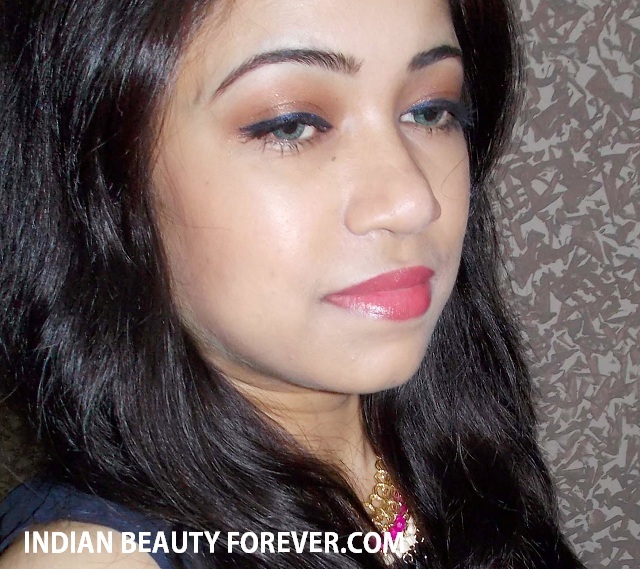 But it is not that sheer to leave your lips look patchy or bare. It is sheerer than the highly pigmented lipsticks but has good color pay off when it is applied 2-3 times like I have done in the photos. This lipstick stays on 3-4 hours on me and after having meals, it gets faded and wiped off leaving a very mild rosey tint on my lips. I like that it will not accentuate the lip dryness or the fine lines on the lips. It is a medium pink which I would call as an everyday color. It has slight coolness to it which is why it may slightly wash out the duskier skin tones. The texture and feel of the product is exactly similar to that of the REB 01. 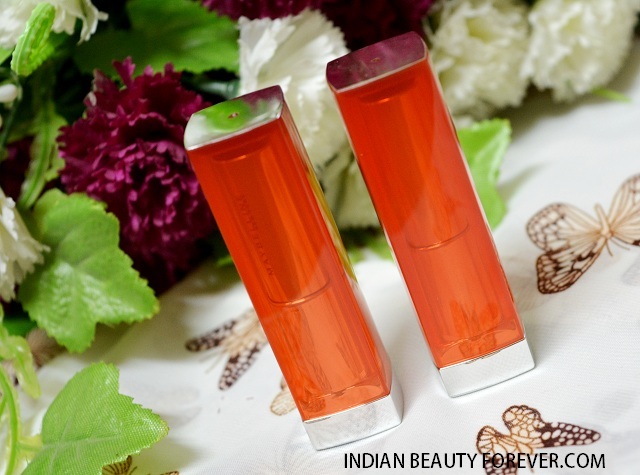 It is hydrating on the lips and keeps the lips moist for a lot longer. If some of you like to apply a lip gloss over the top of your lipstick then these lipsticks are already very cream and glossy so you won’t have to actually use the gloss. Just the lipstick will be enough. 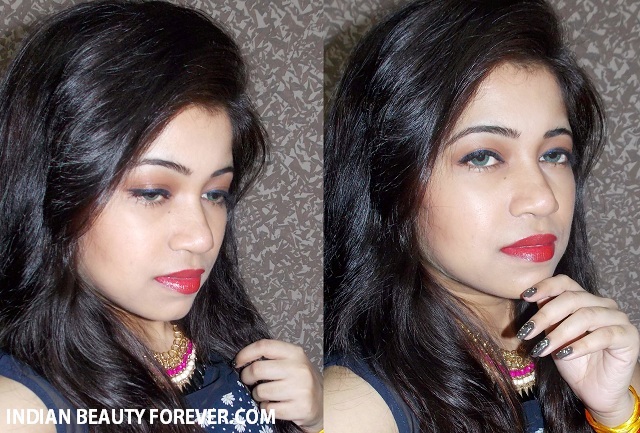 If you like shiny glossy lip colors which give adequate color pay off with a moisturizing formula then Maybelline Color Sensational Rebel Bouquet lipsticks are worth trying. Else if you wish matte pigmented lipcolors then leave them. Oh these are sooo gorgeous! 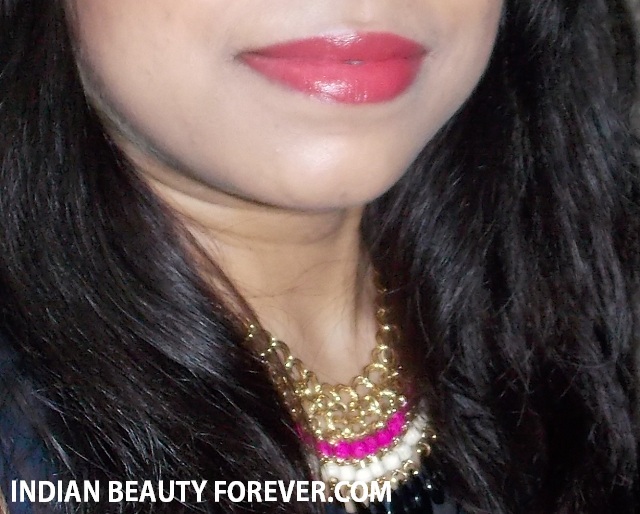 I'm a huge fan of moisturizing formulas and prefer reapplying my lipsticks to keep my lips feeling happy. Really love 02, it's something I'd wear! 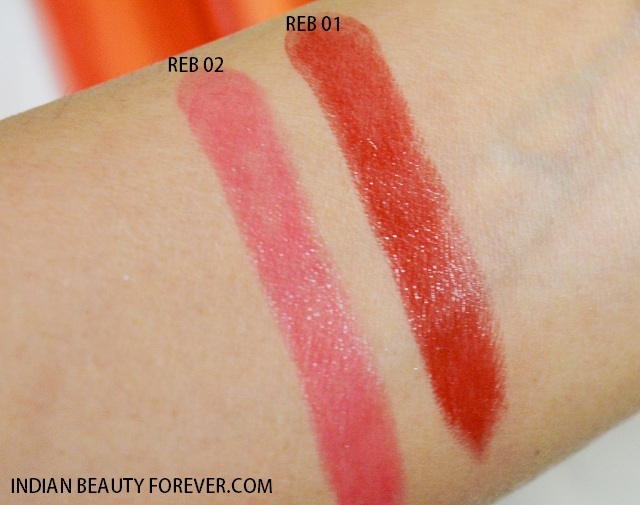 Both the shades look prettyyy on you, REB02 seems more daily wearable and REB 01 has more glam to it !